NEW DELHI, May 15, 2017: Samsung Electronics Co., Ltd. today expanded the Tizen ecosystem with the introduction of the Samsung Z4, a smartphone that packs powerful performance with a simple user experience. 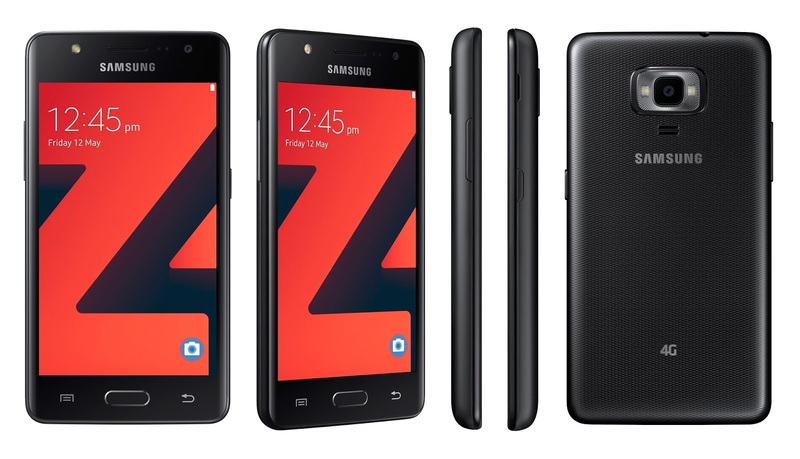 India will be the first market where Samsung Z4 goes on sale. 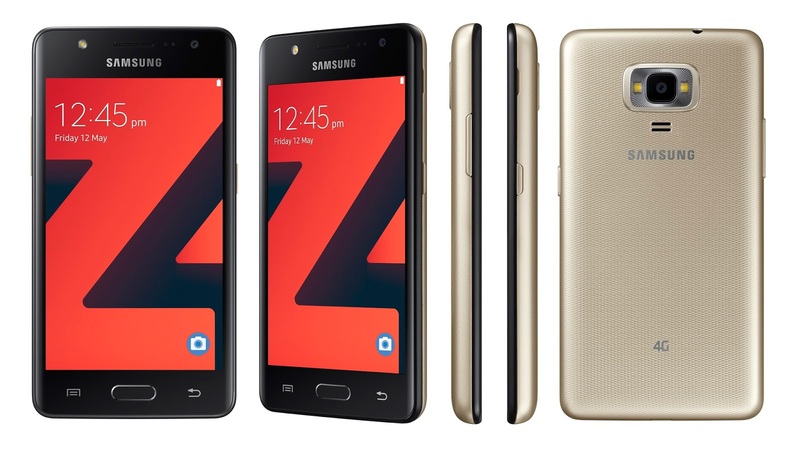 Samsung Z4 offers “double” the usual benefits to the value-seeking affordable segment consumers: “Double camera, double flash and double style”. The Z4 brings a unique combination of 5 MP+ 5 MP front and rear cameras to the affordable segment. It sports a LED flash on the front camera and dual LED flash on the rear camera for brighter images. The new design front display with 2.5D glass and two back covers, black and gold, with each device, complement the smartphone’s superior specs and make the Z4 a truly attractive proposition for consumers. The Z series smartphones have been instrumental in driving Tizen adoption. Samsung Z4 is the fourth device in this series and upholds Tizen’s core benefit of easy upgrade of feature phone users to smartphones. It offers 4G VoLTE services, powerful specifications and preloaded popular apps to trigger and aid the upgrade. Besides attractive design and optimized interface for easy upgrade, the presence of India-relevant localized features like S bike mode and My Money Transfer have also contributed to the popularity of Z series in India. “With more than 500 million feature phone users, India has immense potential for smartphone upgrade. As the market leader, we at Samsung consider it our priority to facilitate this journey towards smartphones. Our affordable Tizen series has been instrumental in catalyzing the smartphone upgrade and with Z4, we will offer yet another compelling product to affordable segment consumers,” Mr. Asim Warsi, Senior Vice President, Samsung India Electronics, said. Clicking images is now integral function of a smartphone. In an endeavour to offer best photography experience to the affordable segment consumers, Samsung is offering a 5 MP front flash camera on Z4. It will ensure best selfies in all light conditions. The dual LED flash on the 5 MP rear camera clicks brighter images even in low light conditions. In addition to the hardware, the camera software has also been engineered to provide best editing options within the camera view finder. Features like beauty mode, live filters and profile template will enable users to click social media ready enhanced images. Samsung Z4 is equipped with a 4.5” screen which allows consumers to enjoy games, videos and other multimedia content to the fullest with superior resolution. The 2.5D glass gives the front facia a refreshed look and comfortable grip. To maximize the style quotient, an additional black back cover is provided inbox for all users to enjoy both gold and black styles on the same device. The user interface on Samsung Z4 is simple and easy to use. It is optimized for seamless performance. With a 1.5 quad core processor and 1 GB RAM, the device is a performance powerhouse. It comes with 8 GB internal memory which is further expandable up to 128 GB. The device is fuelled by a 2050 mAh long-lasting battery, which is further boosted by Samsung’s unique ‘Ultra Power Saving mode’ that keeps the phone operational even at minimal battery levels. Samsung Z4 gives an effortless mobile experience with Tizen OS. Its clutter free, intuitive interface makes it easy to understand and use. The Z4 also comes packed with ‘Make for India’ features developed specifically for Indian consumers. It offers S bike mode, which lets consumers ride tension free while encouraging responsible riding. The “My Money Transfer” feature lets users do offline banking on most popular banks of India. For the ease of first-time smartphone user, most-used popular social, banking and utility apps have been preloaded. Samsung Z4 comes preloaded with host of services to make information easily accessible to new smartphone users. It gives users the option to access latest news in their preferred local language with just a swipe on their home screen. The calendar on Z4 can be automatically synced with future events, like upcoming cricket games, to give users reminder notifications and seamless access to event updates from the calendar itself. Samsung Z4 has a new way to greet users on the lock screen, “My Galaxy Stories” in which the lock screen can be customized to show multiple alternating wallpapers and popular internet stories. Samsung Z4 will be available for INR 5,790, starting May 19th in mobile stores across India. Besides the gold back cover on the device, all users will get an additional back cover inbox.